Gold and silver prices fell last week, with silver in particular showing weakness. The metals will likely need a boost from geopolitical events abroad to put in a better showing this week. The domestic calendar includes the release of the FOMC minutes, but few expect any surprises there. Prices are mixed this morning, but palladium hit a new 13-year high at $900. Friday featured the first silver fix using the new system recently chosen by the LBMA -- the daily price was set at $19.86/oz. The system replaces the 117-year-old methodology which broke down when member banks pulled out after intense scrutiny for malfeasance. The new price fix promises more transparency and pricing tied to actual market trades – not based on a conference call between a handful of market insiders. The CME group provides the platform and the algorithm used to determine the price, and the system is administered by Thomson-Reuters. So far, three firms are accredited to contribute trade prices – HSBC Bank, Bank of Nova Scotia, and Mitsui & Co.
Pressure is also building now to replace the corruption-prone gold fix. But as we noted in last Friday’s podcast, the potential for market manipulation is still great despite the reforms. This month’s dam breach at a waste pond constructed many years ago at Imperial Metals Corp’s gold and copper mine has made waves throughout the mining community. 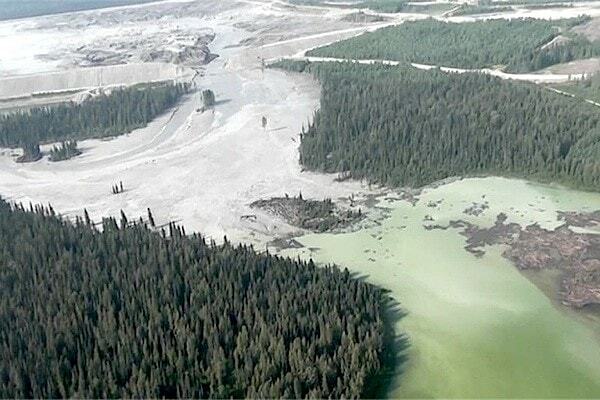 4.5 million cubic meters of chemical-laden tailings, a byproduct of ore processing at the open pit mine in Mount Polley, British Columbia, ran off into remote wilderness lakes used mostly by aboriginals. While the seriousness of the environmental damage is yet to be determined, the political fallout has already begun. The permit on a new lead zinc mine in the same Canadian province got blocked last night. We expect the political resistance and costs of developing new mines to increase even further as a result of this incident. The result? Less supply of these valuable metals coming out of the ground – and upward pressure on physical metal prices over time. “This shows why all the stats and pie charts in the world about how many ounces a company is going to produce don't mean a Tinker's damn when ‘real life’ intercedes, as it so often does in the mining sector. It also demonstrates how ‘hold in your hand’ metal is going to become even more precious than ever as the cost of getting it out of the ground – or even being able to dig it up in the first place – continues to ratchet upward. One of the Biggest Questions from New Bullion Investors: What Will I Do with It Once I Buy It? The familiar process of buying shares of a publicly traded company makes intuitive sense to most investors. They can evaluate companies and markets and make a decision to invest. If they correctly identify an opportunity, they will profit. The same goes for an investment in real estate. In fact, most investors can approach any of the traditional asset classes with a simple game plan; study the options, buy, hold for higher prices, sell when there is a better opportunity elsewhere. 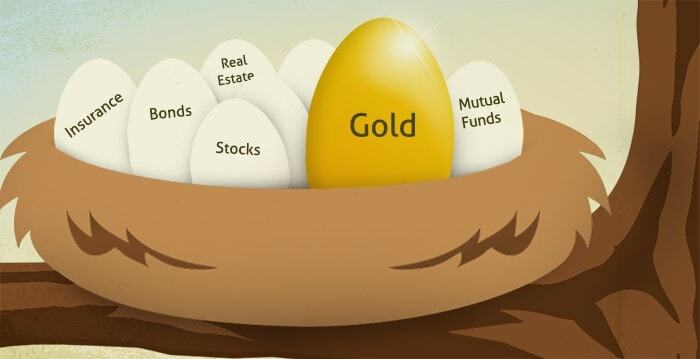 Bullion coins, rounds, and bars are out of the mainstream investment categories and unfamiliar to most investors. They know brokers who can help buy or sell stocks, rental property, and just about any asset they talk about on CNBC. But bullion somehow seems quite different. It really isn’t. A purchase of physical metal is an investment -- and it should be approached the same way. Do your research, buy, and hold. Sell when you think the time is right. Know that when you wish to buy or sell there is a large market you can instantly access and a roster of reputable firms who can help. We hope you will choose our company! Maximum privacy -- your transactions are not reported. No one has access to the size or location of your holding unless you provide it. Maximum insulation from the financial system and counterparty risk. Maximum liquidity -- you can lock prices to buy or sell at the market instantly. Maximum portability -- you can transport your holding anywhere in the world. On a final note, many prospective investors want to know how and if they will be able to use their coins, rounds, and bars specifically in the event of a major crisis. Food, shelter, and a gun for self defense would be useful, but will folks really be able to buy things with gold and silver? We think the answer is certainly yes. Individuals may need only the basic necessities -- food, water, and shelter. But markets need something else -- money to facilitate trade. True barter systems are extremely cumbersome, and they disappeared shortly when humans discovered the advantages of using gold and silver coins as money. Imagine always trying to find someone who not only has what you want (say, fruit) but wants what you have (say, English lessons). Should the dollar completely fail, we expect merchants to price their goods and services in terms of gold and silver -- just as they have throughout thousands of years of civilization. But whether or not the dollar breaks down, gold and silver should perform as well as or better than other investments in a wide variety of crisis scenarios.